1Warm that steak up! 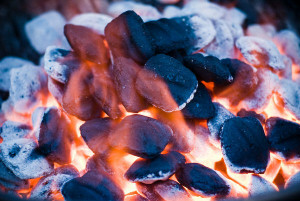 Let's start with one of the most important steps in grilling steaks. We want to grill our steaks quickly and evenly, so it is very important to let the steak come to room temperature before grilling. Remove your steaks from the refrigerator and set them on the kitchen counter for about 30 minutes prior to grilling. Don't leave it there too long though, that's just gross, just get it to room temperature. 2Seasoning. Just like we talked about when grilling hamburgers, there is no need to over-think seasoning. Let that steak's natural taste prevail! 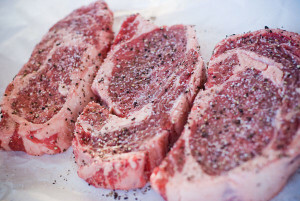 I like to keep it simple and first brush the steaks with a little olive oil and then use Kosher salt, FRESH ground black pepper and a little garlic powder. Combine the seasoning and rub it all over both sides of the steak. That rub is what is going to help create that delicious crust we are after during the searing stage. 3High heat. Now that the steak has warmed a bit and has been coated in a simple layer of seasoning, go ahead and light the grill and prepare it for direct grilling over high heat. Another important technigue in grilling steaks is to use high (around 600 degrees is perfect), direct heat and grill them quickly! The longer the steak stays on the grill, the more moisture leaves the meat. So crank that baby up as high as it will go and turn on the sear burner if you have one. Keep the lid closed until the grill has heated as high as you can get it. 4Clean that grill! Once the grill is nice and hot, make sure you give those grates a good scraping with a wire grill brush. Some people lube their grates with some vegetable oil, but that shouldn't be needed between the clean grates and the little bit of olive oil we brushed the steaks with earlier. 5Grill those steaks! We are now ready to grill the steaks. 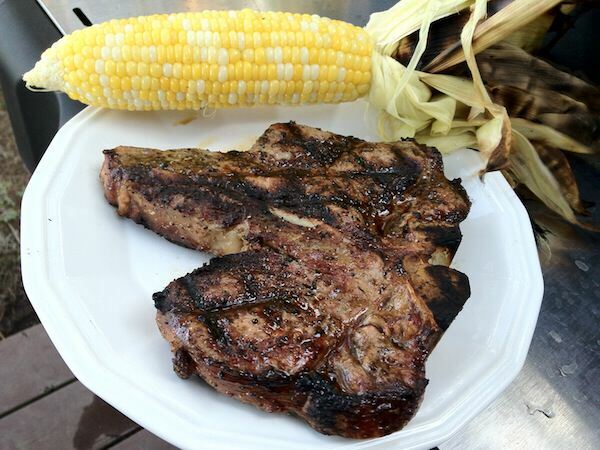 Using tongs, place the steaks on the hottest part of the grill and don't touch them for about 2 minutes. 6Grill marks are important. Why? Because you want those steaks to look good right? It is more than that though. 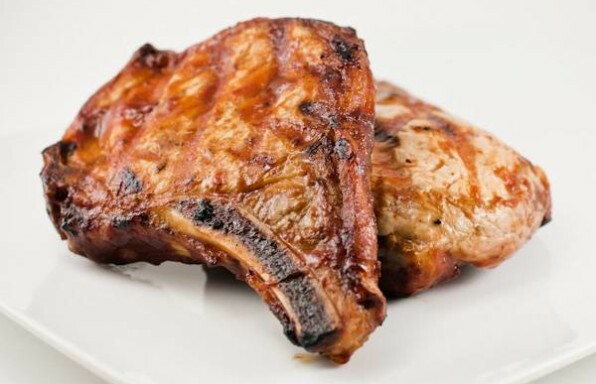 The caramelization that occurs in those grill marks is really tasty. Pick your steaks up with the tongs and turn them 45 degrees and put them back on the grill to make those perfect, crosshatch grill marks (we want a total of about 5 minutes on the first side). 7Flip the steaks as little as possible. It is very tempting to keep flipping the steak. However, when meat is cooking over a direct heat source like on your hot grill, the juices get pushed through the meat away from the heat source. To grill a juicy steak, you want to disrupt the juices as little as possible, so that means flipping the steak as little as possible. After a total of around 5 minutes on the first side, flip the steaks over using your tongs (never pierce the steaks with a fork!). 8Rotate again. After another 2 or 3 minutes on the other side, again rotate the steaks 45 degrees to create our grill marks on the other side. Grill for an additional 3 - 4 minutes after rotating. 9Check to see if they are done. Once you get a few dozen steaks under your belt (literally and figuratively), you will be able to tell doneness just by pushing down on the meat. The firmer the meat, the more done it is. A great instant read thermometer is a must for the kitchen and grill though and takes the guess work out of cooking. The Thermapen is the best on the market and I highly recommend it. Remember, you can always throw an undercooked steak back on the grill but you can't reverse beef jerky, so err on the side of undercooked. Not sure what temperature you are aiming for? There's an app for that. 10Let them rest! Once the steaks are grilled to your desired doneness, remove them and place them on a platter. Now DON'T TOUCH those beautiful hunks of meat for 5 minutes if you can help it. 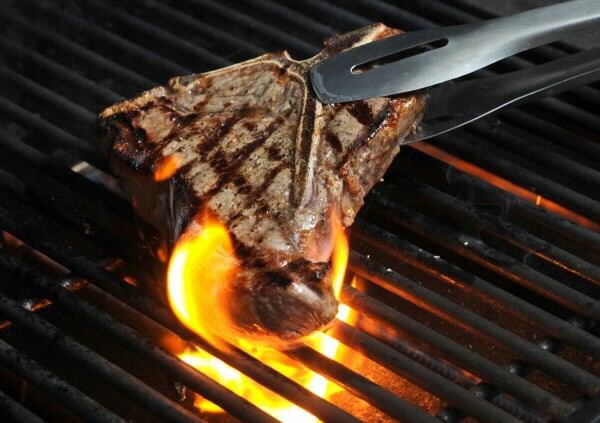 Remember, the juices on the inside are disrupted a lot when you are grilling a steak. They need about 5 minutes to "calm down" and redistribute. If you cut into it too soon, all of those juices will leak out (which is no sweat if you can't help it, just soak them up with the baked potato!). See? There is nothing to grilling steak like an expert. Focus on technique, not the seasoning or (God forbid) sauces and let the natural flavor of the steak be the star of your grilling show. Also, make sure you check out some of our other grilling recipes for those guests that don't eat red meat. If you are looking for a great appetizer, grilled shrimp kabobs make a great tasting and quick cooking treat! God basic recipe — I don’t do much differently. But I must take exception to the old canard that a streak, particularly one 1.5″ thick will warm up to room temp in 30 minutes. Just not going to happen. Assuming it comes out of the fridge around 40 deg, 30 mins at room temp will probably result in a steak maybe in the mid 40’s. I’ve done the experiment a number of times. Perfectly simple and it works great evey time. Kosher salt is a must! If I grill a large boneless cut like tri tip, I season ahead of time anywhere from 3 hours to the night before. Thinner cuts I usually do as this writer says and salt before going on the grill. Great directions! worked like a charm. Thanks so much. Focus on technique, not marinades.